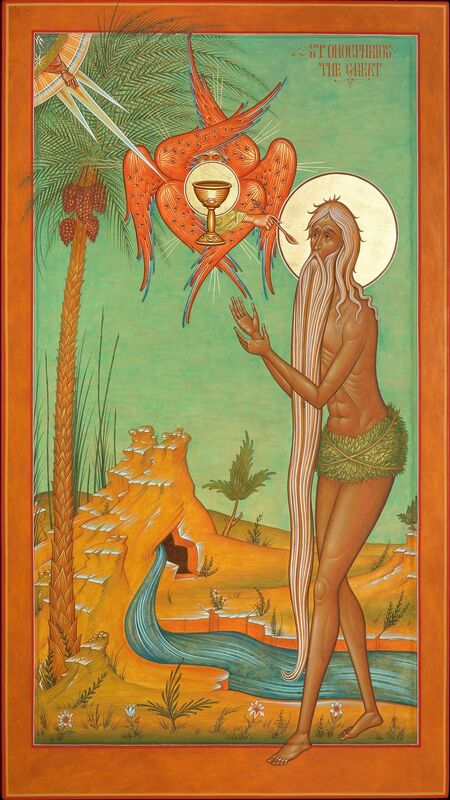 There are no primates of Catholic Churches. And there aren't as that picture depicts recent Crete council, where there weren't any Catholic primates. And a good part of the bishops is easily recognizable. I recognised many of them as Orthodox bishops, but I thought two of them were Patriarchs Gregory (Melkite) and Bechara (Maronite). The last one would have different hat (like Alexandrian pope). Anyway, despite wathing these faces everyday, I can't recognise most of them. I also suffer from face amnesia. 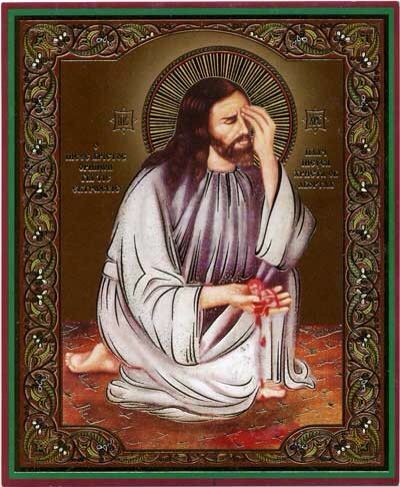 Christ weeps over an aborted child. At first glance, I thought she was overlooking the construction of the Tower of Babel . 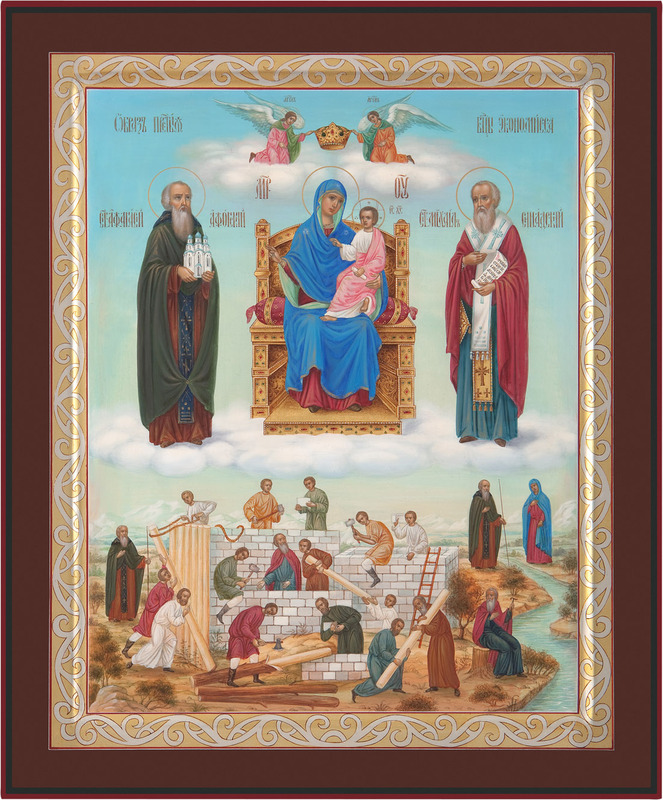 Who are the two big saints next to the Theotokos? A couple of years ago there was a picture popular with a fresco of Patriarch Cyril among others. so there is an option. I like Fr. Silouan's (Justiniano) work. Not an icon but pretty awesome. Awesome! I'll probably use it as a profile picture after some time with St. Mercurius. 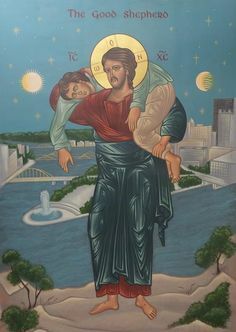 What is this icon representing? It's called "The Unsleeping Eye"
Thanks so much! I've never seen one like this before. I've never seen one like this before. Are you kidney me? I've never seen him liver. 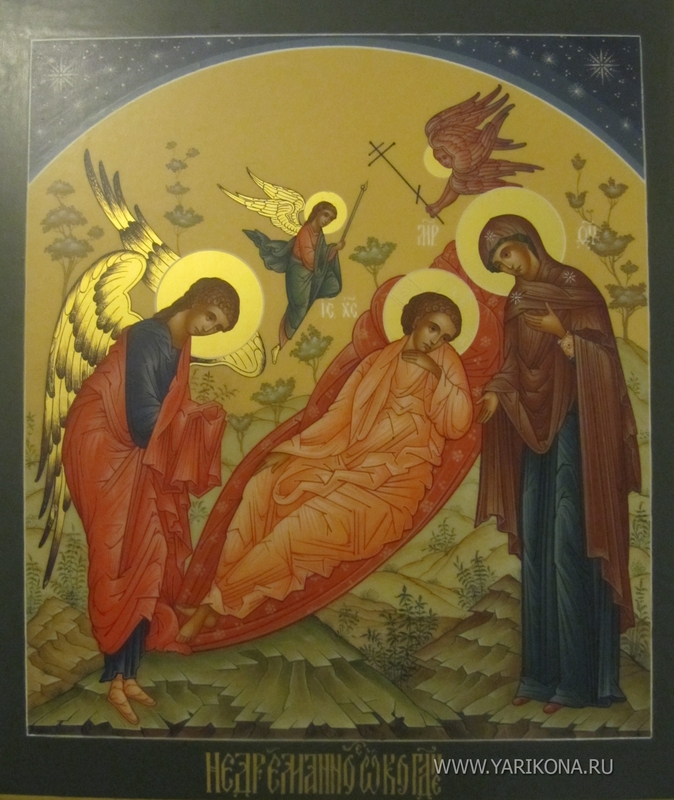 The top icon was commissioned by the Latin Diocese of Pittsburgh for the Jubilee Year of Mercy. This "icon" washed up on the beach recently on the California coast near Fort Ross, found by one of the curators who is not Orthodox, but friends with local parishes and the Calistoga monastery. Rather bizarre how it is reproducing a section of St Peter the Aleut's Wiki from a Mac. Let us purify our senses that we may perceive the file. Sorry, everyone. I'm trying to upload from my phone. I'll try a roundabout way. Well anyway since it washed ashore we have to treat it as miraculous. A miracle of our times. 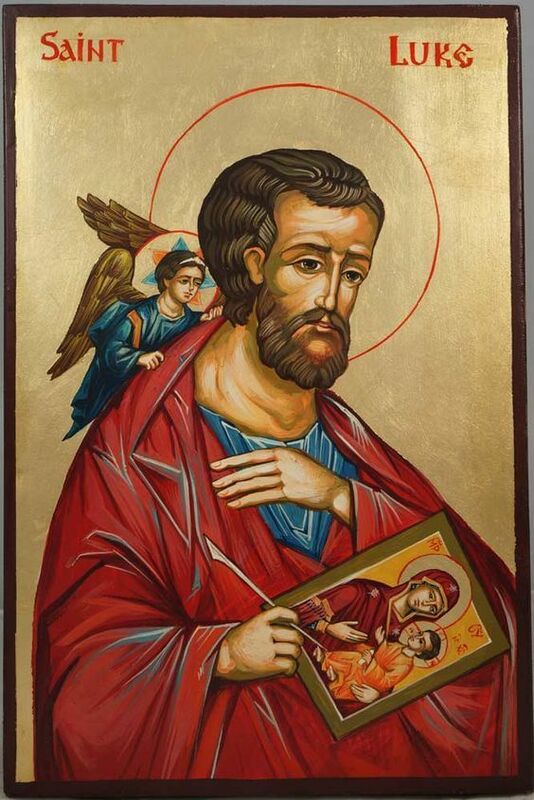 Soon replicas of the legendary Fortrosskaya icon will be crowding the shelves of parish bookstores. someone is writing an akathyst already. It kept saying the file was too big when I tried uploading from my iphone...even though it is only 92K when I upload to FB then download to my desktop.